Is there a sefer that states the Halachos L'maseah and gives the reasoning as to why the Halacha is the way it is. I'm looking for a Halacha sefer that states the Halacha as we pasken, but also traces the Halacha back to its sources in the Gemarra. The Sefer ha-Chinuch systematically discusses the 613 commandments of the Torah. It was published anonymously in 13th-century Spain. The book separately discusses each of the 613 commandments, both from a legal and a moral perspective. For each, the Chinuch's discussion starts by linking the mitzvah to its Biblical source, and then addresses the philosophical underpinnings of the commandment (here, termed the "shoresh", or "root"). Following this, the Chinuch presents a brief overview of the halakha (practical Jewish law) governing its observance - usually based on Maimonides' Mishneh Torah - and closes with a summary as to the commandment's applicability. 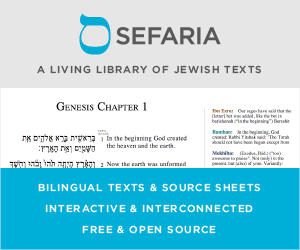 It is available in translation on Sefaria or in print from ArtScroll. Not the answer you're looking for? Browse other questions tagged halacha product-recommendation jewish-books .